Peter Norton said way back in the 80s that "There are only two kinds of computer users: those who have lost data, and those who are going to." I always knew that this was true, of course, but didn't really do very much about it, without really having any good excuse. Following the laptop theft I decided to put together a backup solution for myself to avoid getting into trouble in the same way if something similar should happen again. What was lost was mainly personal stuff, notably my photos from the Russia/Ukraine holiday, but also things I need for my work, like my email, my calendar, personal notes from various projects, planning documents, etc etc, all of which was stored on my laptop and nowhere else. This was more than enough to make the loss quite painful and worth a little effort to avoid. 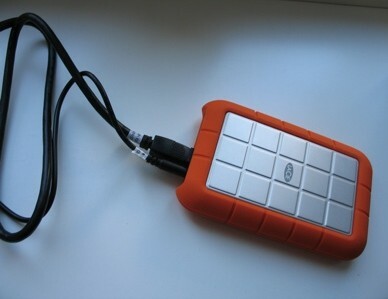 I did a little research (not much, to be honest) and quickly decided that the best solution would be an external hard drive plus a backup program. Apple Norway offered a nice little hard drive for EUR 120, which seemed to do everything I needed. It came with a backup program that I failed to install because the installation program wouldn't run. Yes, remembering to actually make backups is the next challenge, but now that I have the setup I don't think it will be a problem. I've done the first backup already, and the first incremental backup. It turns out to take about 7 minutes altogether, which is not a problem.